It is easy to let ourselves imagine a picture-perfect holiday season without any mishaps. And while sometimes the holidays may turn out that way, it’s also important to leave your expectations, and the expectations of your family, at the door. Make sure you communicate ahead of time with those that you’ll be celebrating with. Let them know what this holiday season might look like and discuss what would make this year a great one. 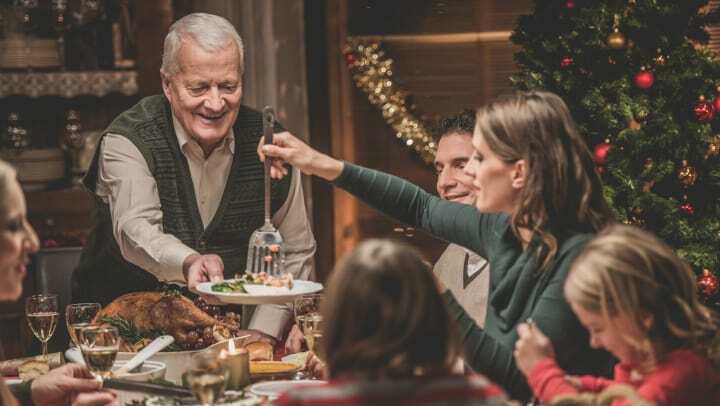 Things might be different this time around, depending on your loved one’s diagnosis, so keeping an open mind about the season will help everyone stay flexible and appreciate their time together. Sometimes, large events can feel overwhelming to those diagnosed with dementia. Be sensitive to their memory by gently reminding them of the names of people around them and the reason for the gathering. Don’t wait for your loved one to take part in the conversation. Instead, bring them into the mix by asking them questions with simple “yes” or “no” answers. We love to make the holidays special, whether it be with lots of decorations, music, or fun activities. And, while these are wonderful for creating new memories, too many new stimulations can spark agitation for those living with a memory loss illness. Caretakers should try sticking to their normal routines as much as possible. The Alzheimer’s Association recommends creating a calm environment with few sensory triggers. This year, try hosting in a familiar setting with a small gathering of those who love them and minimal new noises and sights. It is important to keep in mind that no matter the details that went right or wrong, this season is an opportunity to create new memories. Try not to get caught up in all of the small things. These are special moments, so relax and enjoy the company of your loved one. For more information about dementia and the best care for your loved one, take a look at the Artis Senior Living blog.